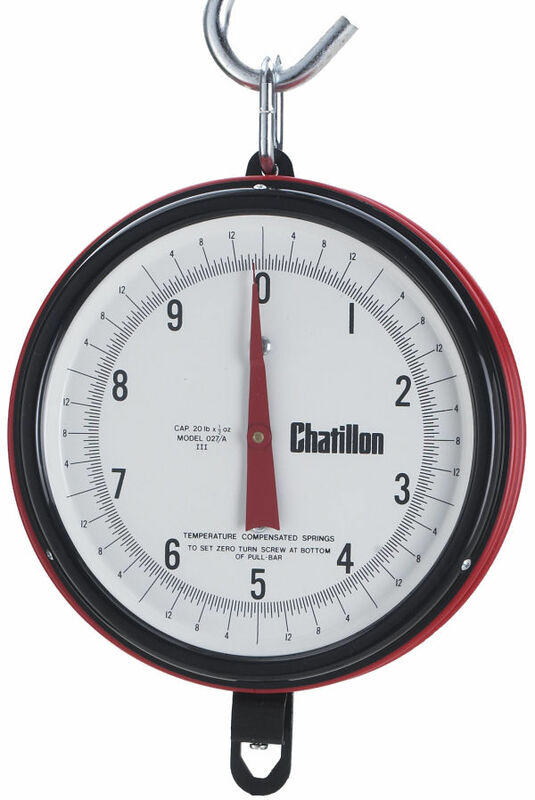 The CHATILLON® Century Series hanging scales are designed for long-lasting reliability at an affordable price. Century scales feature a steel inner frame and tough, corrosion-resistant band, bezel and housing. Glass-covered 7-inch dials come in single (reads clockwise) or double dial (one reads clockwise, the other counterclockwise) models with aviordupois graduations. H44 Class III "Legal For Trade" models are sealed for local jurisdiction for point of sale use. Full capacity in 2 pointer revolutions.